Some people’s depression is triggered by an event, a major loss or a tragedy. My first depressive episode had no inciting incident. It happened slowly and all at once. The sadness and dread was overwhelming. I couldn’t stop crying. I stopped going out. I stopped talking to my roommates. I hated everything and everyone. I skipped classes. I stopped eating. I thought about suicide and I started cutting. For me, the scariest part of depression is when the tears stop and the numbness sets in. You start to wonder if you’ll ever feel anything again or if you’re doomed to walk through the rest of your life like a zombie. It was when the numbness had enveloped me that I cut for the first time. I’ve been asked by my partner, my parents, and psychiatrists: At what point did I make the decision to cut myself? And honestly, I have no idea. I barely remember making that first cut, let alone the decision-making process that went into it. What I do remember is watching the blood pool to the surface and feeling relief as I felt the burning pain of the cut. I could feel physical pain. And so I made another, and another, just to remind myself what feeling was like. The idea of self-harm goes against every rational thought and evolutionary cue humans have. We are genetically coded for self-preservation. But, then again, depression isn’t rational. It was over a week later, after accidentally rolling up my sleeves, that my roommate saw the multiple cuts along my arms, in various stages of healing. Shocked and terrified by what I had done to myself and what I might do next, she begged me to let her call emergency services. Even depressed, I am stubborn, so I refused over and over again. Finally, we compromised and she dragged me to the university’s health services the next day. Then she did the one thing I never thought she would do, the ultimate betrayal: She called my parents. It was months later that I realized that she had probably saved my life. To this day, despite distance and time rendering our friendship to an occasional Facebook post, I am incredibly thankful for her bravery and courage. I’d like to tell you that this was the end of my mental health story. That I never experienced depression again, that I never cut again, and that I never thought about killing myself. Unfortunately, this was only the beginning of an ongoing struggle. Mental illness is insidious. It’s a monster that buries itself deep in your brain and rears its ugly head when you least expect it. And just when you think you’ve gotten to know the game it plays, the rules change. After my first depressive episode, I enrolled in a university closer to home so I could live with my parents and have a stronger support system in the event that the monster returned. I started to excel in school again and reconnected with old friends. Life was good. It was a year before I experienced what I would later find out was my first hypomanic episode. A game changer. The hypomania started with a simple idea: I was going to redecorate my bedroom. I bought the paint, moved all the furniture out of my room, and repainted. I moved like I was on speed and spoke faster than anyone could understand or follow. Then the anxiety started. I became agitated, volatile, and angry. Then I couldn’t sleep. My mind raced through all of these amazing ideas that I couldn’t keep track of. In the span of a day, I went from hyperproductive to the languid darkness of depression. I couldn’t understand it. I took my meds religiously and maintained monthly appointments with my psychiatrist. It turns out he had misdiagnosed me. When I first saw him, I was only displaying symptoms of depression and so, logically, he prescribed me antidepressants. Those pills I had been taking regularly had caused the hypomania. Apparently, I didn’t suffer from depression and anxiety, like he originally thought. I actually had an illness that was much more difficult to spot: bipolar disorder type II. I left his office that day with a prescription for Lithium and orders to reduce the dosage of my antidepressants. Lithium is horrible. It made food taste like metal, it made me nauseous and dizzy, and it required monthly blood tests. 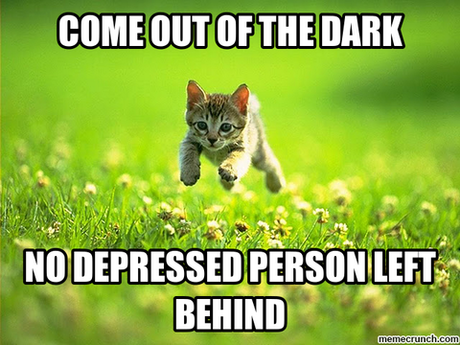 But it did level out my mood quickly, and the depression didn’t last as long. Unfortunately, there’s no cure for bipolar disorder — it’s a chronic illness. Meds can stop working, life can get too stressful, and suddenly the cycle starts again. I perpetually feel like I’m waiting for the other shoe to drop. In total I have been through three hospitalizations. I’ve seen more psychiatrists and psychologists than I can count. I’ve taken anti-depressants, sleeping pills, anti-anxiety medication, anti-psychotics and anti-convulsants. I’ve gone through in-patient and out-patient treatment. I’ve hurt myself physically, I’ve hurt others emotionally, and I’ve thought about suicide way too often. Bipolar disorder may be a chronic illness, but I’m no less capable than someone without it. I’m not deranged or dangerous. I just have to navigate my life a little differently, and despite my struggle with my illness, wonderful things have also happened in my life. I completed two university degrees. I travelled to several countries. I got married. I wrote a first draft of a novel. I moved provinces. I got a job I like and that I excel in. I’ve made great friends. 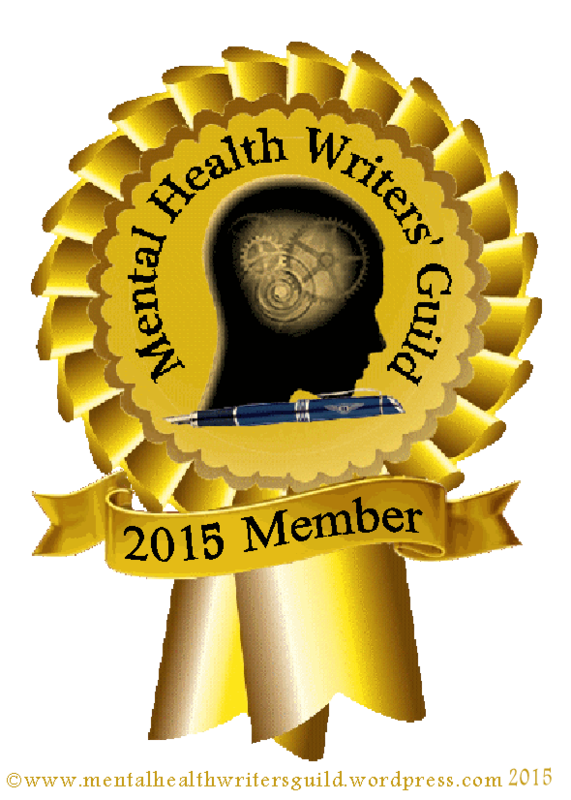 I became a mental health advocate. And this year, I have started to share my story. I have spent the last decade of my life hiding my illness because I have feared judgement. I have been afraid of losing friends, of being unemployable, of being an embarrassment, and of appearing weak. This year, with my work in the mental health community, I have been inspired by the courageous individuals who shared their stories of self-harm, hospitalizations, suicide attempts, relapse, and triumph. Well, now it’s my turn. I’m adding my voice and story into the mix and maybe, if I’m lucky enough, I’ll inspire someone as much as these people have inspired me. This was originally posted on Stigma Fighters and The Huffington Post’s Stronger Together.